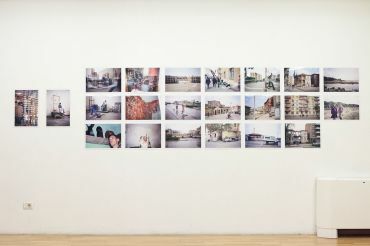 Hubert Lobnig’s idea for an exhibition on the topic of public space is based on the observation that the relationship of Albanian society towards its capital city’s public sphere has changed fundamentally since 1992, when Lobnig visited Tirana for the first time and made a series of photographs. 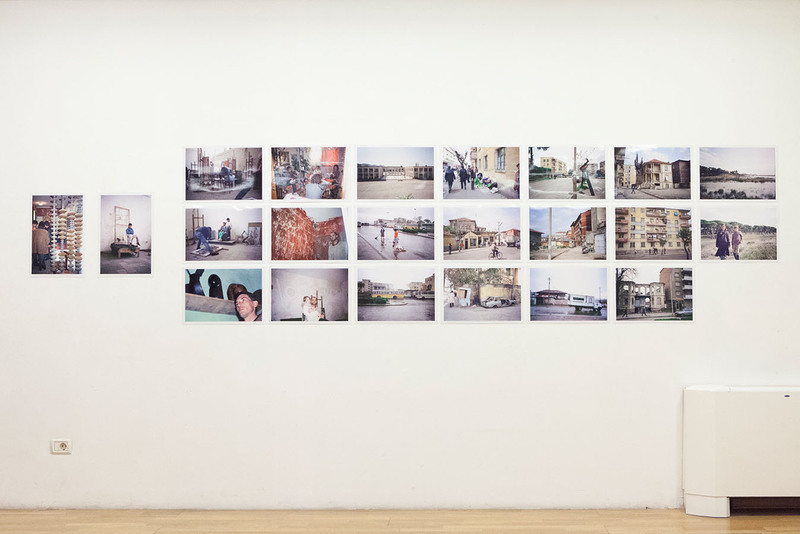 These photographs now serve as a historical introduction to the show at ZETA, thus creating a bridge with current understanding of Tirana’s public space. Meanwhile, Lobnig has carried out numerous temporary and permanent projects, as well as site-specific works, in collaboration with Iris Andraschek: one of them – the installation Where Do The Borders Go, a staged border transgression at its very location, questioning nation-state administrative demarcation policies – is now presented in the form of a drawing and photographic documentation, as a work of art itself. The exhibition continues with Anna Meyer’s work, dealing with events unrelated to art (such as tangible civilian population protests at Heldenplatz in Vienna) now processed through the medium of painting , and her performance faceburka, reflecting the role of virtual social networks in relation to public sphere of action. 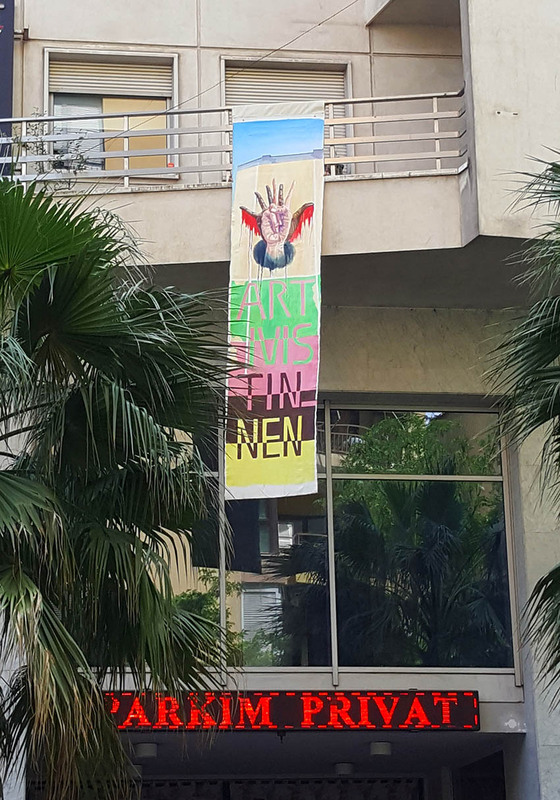 Steping out of the gallery space in Tirana with a banner in her hands will be yet another bold gesture by which Meyer intends to pointing out the role of artists as activists nowadays. Picking up on an important element of human physiognomy – the nose – that frequently used to be attributed to certain populations as a distinctive element of ethnic or racial identification, the artist group Gelitin set up an open-air monument in rural Austria in 2014 to play, ironically as usual, with the association of a giant, buried in the ground, with his nose sticking out on the surface.Their participation in Tirana includes a drawing from this project, depicting people’s interaction with the monument, and also photographs documenting the earlier creation process and its result on the spot. Werner Reiterer’s drawings, which exhibit some operating principles preceding his works realized in public space, often question those principles in a grotesquely exaggerated manner. 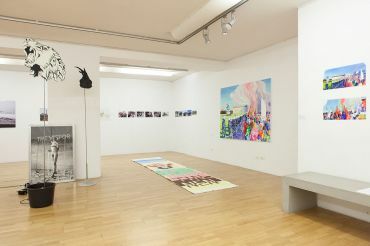 They lend visual expression to his quite spontaneous conceptions of art and the real world, which allow him to relate directly to specific places and situations, while functioning as comical frameworks for actual execution of his projects in public spaces: as ideas that cannot be carried out, as pure fantasies, or fictions. 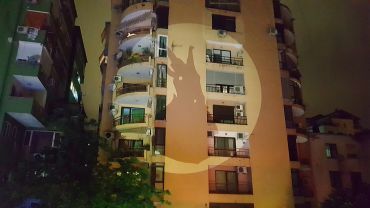 His project in Tirana develops in the similar line, revolving around stickers as a flexible and easily distributive medium across selected urban spots, loaded with personal or collective significance. Elements like flags, crests, monuments, figures of catholic saints and traffic posts play an important part in Franz Kapfer’s urban installations. He uses them to play with people’s perspective of ordinary, everyday things, which are usually taken for granted and unquestioned. In his way of appropriating those elements in his work, Kapfer tends to challenge and re-direct viewers’ attention, letting them step out of their comfort zones in order to perceive their environment differently and from a more critical viewpoint. The ongoing cult of national heroes in contemporary Albanian society was Kapfer’s main working focus during his 2009 residency in Tirana, resulting in his public installation on the spot. 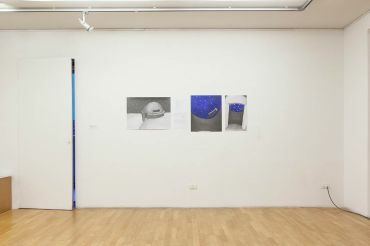 The documentation of this project, alongside with the artist’s photographic self-staging and an object-installation, round up the actual exhibition at ZETA. *1964 in Graz; lives and works in Vienna; studied graphic art at the Academy of Fine Arts Vienna. *1964 in Schaffhausen, Switzerland; lives and works in Vienna; graduated from the Schools of Art and Design in Zurich and in Lucerne. *1971 in Fürstenfeld; lives and works in Vienna; studied sculpture at the Academy of Fine Arts Vienna. *1963 in Horn; lives and works in Vienna and Lower Austria; studied at the Academy of Fine Arts Vienna, at Fresco School in Bolzano and at scuolaartiornamentali in Rome. *1962 in Völkermarkt; lives and works in Vienna and Lower Austria; studied at the University of Applied Arts Vienna. 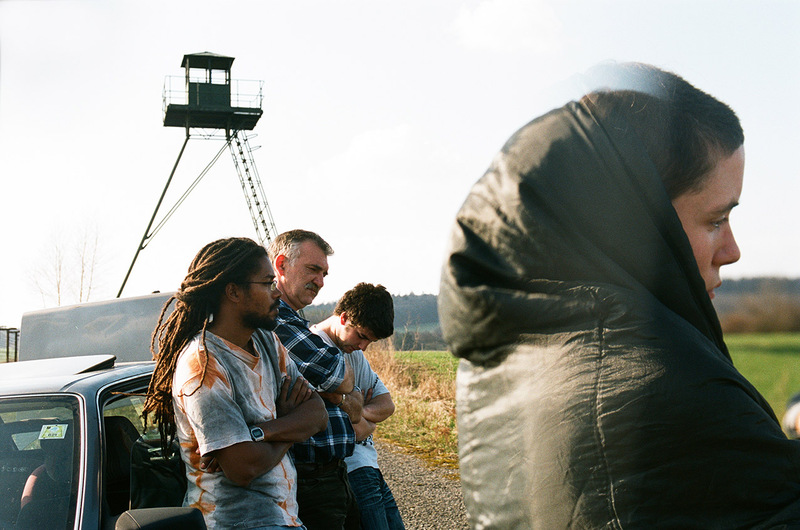 a four-member artist group; its members live and work in Vienna; joint international exhibitions since 1993.